MILWAUKEE (WITI) -- High levels of lead exposure as children can cause aggression, learning difficulties and impulsiveness, and some Milwaukee kids discovered the means of exposure may surprise you. Thursday, the Freshwater for Life Action Coalition pointed out that lateral pipes that connect from some of Milwaukee's old inner-city homes to the water main may be leaking spiked levels of lead. SEE ALSO: Did a pharmacy's mistake cause this boy's death? "It's not just water pipes. But it's the old lead-based paint that's correlating some of it too," said Shane Woodruff, educational and volunteer coordinator at Running Rebels Community Organization. Using a mapping project, the Running Rebels Youth Organization teamed up with the medical college of Wisconsin to explore poverty and lead's prominence in the Lindsey Heights community -- a 110-block area between Locust and Walnut Street and 8th and 20th. They found when old abandoned homes in Milwaukee get demolished, a lot of debris including lead-based paint is left embedded in the ground. Sometimes, urban gardens are then established there. 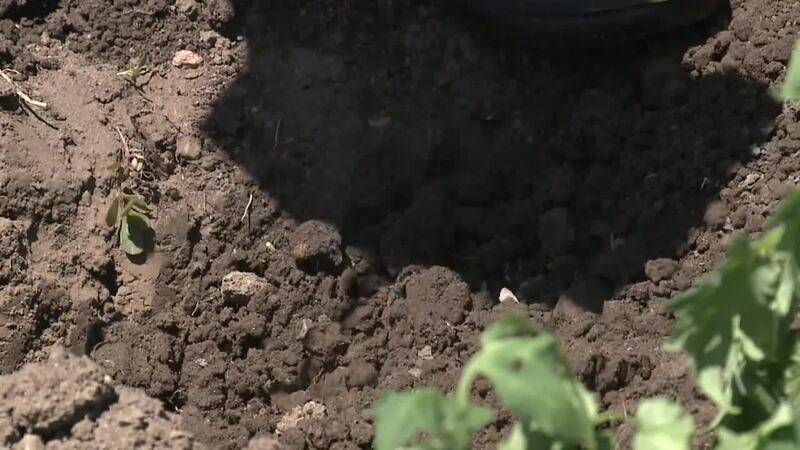 "When youth come in and they're digging their fingers in the soil, a lot of that soil has high lead exposure to it," said Woodruff. "The little ones eat wood chips and stuff like that," said Muse Mohamed, who participated in the mapping project. That's because lead is sweet. For the project, Muse Mohamed focused on lead's potential correlation with robberies in the neighborhood. He had found where lead poisoning levels were high, so were the incidents of robbery. "Before I did the research I knew it was going to be a little high but I didn't know it was going to be like that," said Mohamed. The hope is that the information gained from this project can be expanded to figure out the true correlation between lead poisoning and crime. We're told the gardeners concerned about lead in soil should plant above ground boxes and wear gloves.